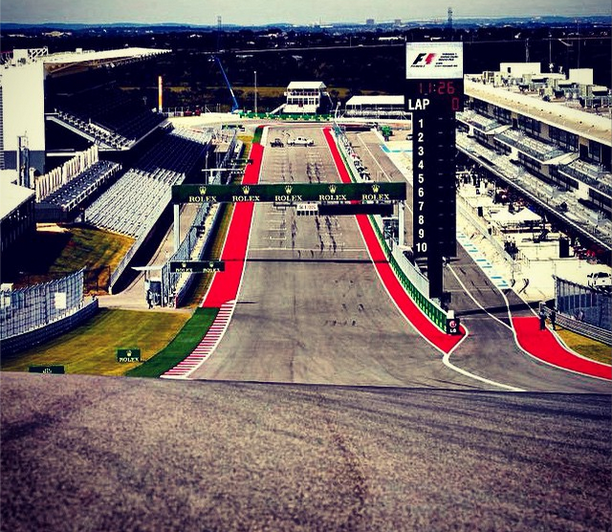 NICO ROSBERG QUALIFIES ON POLE FOR US GP IN AUSTIN, TX. Nico Rosberg put in a sublime lap of the Circuit of the Americas to take a crucial pole position on Saturday, ahead of Lewis Hamilton. This will be a huge breath of relief for Rosberg, who trails his team mate in the championship by 17 points and has finished behind him for the last four races. As expected, Mercedes took the front row comfortably, but it’s not been the smoothest weekend for the Silver Arrows, who both experienced gearbox problems in practice on Friday. Lewis Hamilton had problems again in qualifying, claiming that his brakes were at different temperatures and not performing properly. 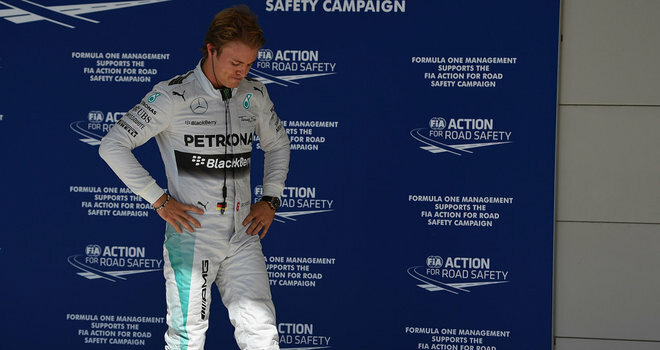 But despite this; he admitted that Nico had been too quick for him. Behind the front-row lock out is a second-row lock out by Williams, Bottas impressing again with Massa taking fourth. Daniel Ricciardo took fifth and Fernando Alonso took sixth. Button and Magnussen took the next two spots in their Mclaren, but Jenson is one of the drivers to accumulate a grid penalty. This will bump up Raikkonen who qualified ninth and unbelievably – Adrian Sutil in the Sauber who qualified tenth and gives the team a real chance of some points this weekend. Cars from eleventh to eighteenth ended up being not a true representation of how they will start, due to penalties. Vettel will start from the pit lane after changing his entire power unit, Daniil Kvyat will start last after qualifying fourteenth but incurring a ten place penalty for changing his engine. Away from the business on track, a very dark cloud of uncertainty hangs over the race for Sunday as it is possible, although unlikely, that Force India, Lotus and Sauber could boycott the race due to the financial inequality in the sport that has forced Caterham and Marussia into administration. Sauber’s potential to score points here may have changed their minds however. What we certainly don’t want in the Texas sunshine is a race remembered for being a farce, similar to Indianapolis in 2005. With Rosberg and Hamilton heading into the tight turn one at the top of the hill together, I’m sure we’ll see a spectacle no matter what happens.